It wasn’t too long ago that keeping up with the Joneses was all about things — the big house, sports car, and designer clothing. Don’t get me wrong, materialism and lifestyle inflation are still all around us. But, things are being challenged by something “new” — time. I personally lived through extreme busyness and long work hours at my last job. While I tried to diagnose the reason behind the busyness in real-time, I don’t think I ever really found the root cause. Months after leaving that job, this curiosity led me down a deep path to better understand why we are so busy today. If you’ve spent any time on this site, you may have read the 3-part series on slow living. Consider this 3-part series on busyness a prequel to the slow living series. After all, a how-to guide about slow living is only going to be effective if we all understand the why-to around busyness. So, as usual, I went deep into research and reading in an attempt to understand the past, present, and future of busyness and exactly why we are so busy — or at least feel we are so busy — in the modern world today. You may have heard of some of the following terms: time-starved, time-poor, time scarcity, time poverty, time famine, time pressure, leisure gap, cult of busyness, harried, overwork culture, and overscheduled. But, our amount of time hasn’t changed. We still get 24 hours each day. Many modern conveniences (e.g. washer/dryer, dishwasher, etc) have significantly shaved off hours of weekly household chores. And, as we’ll see later, the average amount of time we spend working each week hasn’t increased in decades (if you’re surprised, I was too). So, what’s really going on? Are we actually busier than ever before? Or, do we just feel busier? Has our relationship with time changed? I believe all of these hypotheses are correct to some extent. Depending on your own unique experiences, a couple may resonate with you more than others. My personal poison of busyness was a cocktail of #2, #4, #5, and a dash of #1. How about you? Let me know your busyness cocktail in the comments. For me, I’ve always wanted to do my best work. And, in the past, I’ve been completely willing to sacrifice my life to do my best work. I put in crazy hours at work because I was a workaholic who was afraid to let things go and not do my best work for fear of failure or disappointment. But, at the same time, I was completely against busyness and trying to stop the madness. So, I participated in the busyness culture, but I was also a voice against it. Quite the dichotomy. What’s really going on when you study the published research and trends over time? Are some of these hypotheses truer than others? Reading through the research was fascinating and eye-opening. My hope is to give you the highlights so you can become aware of busyness, understand the root causes, and make changes for the better in your own life. Is work today too subjective? In the case of knowledge work, I would say it is. In lieu of objective measurement, perception unfortunately becomes reality. Technology should give us time back, not waste it. People are beginning to look for solutions in digital decluttering and digital minimalism. 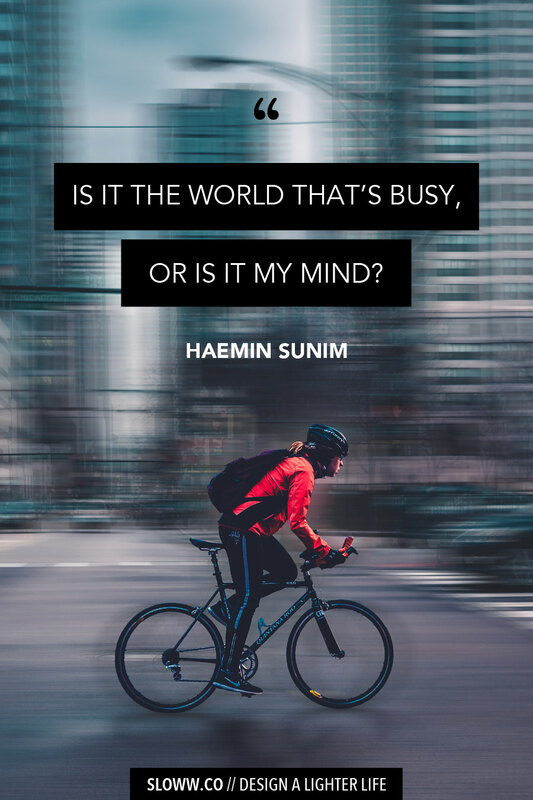 I’m going to do a follow-up post after this series on the difference between being busy and feeling busy that will cover this research a bit more. With 100% certainty, I can say busyness is what caused my existential crisis. While I wasn’t intentionally running away from anything at the time, it helped me acknowledge my busyness and eventually create my purpose. Hey Kyle. Good article. Really well thought-out. Busyness as a status symbol always struck me as ridiculous. Being frantic and harried isn’t graceful or dignified. It’s a clear sign that the harried individual has no control over his own life. I just learned what FOMO meant about 17 hours ago… no joke. “FOMO” used to be called “inferiority complex”. It’s not the actual missing out they are afraid of . What they are scared of is really not being seen as equals to their peers who attended the event. took the FB selfie, got the tshirt, whatever. I am convinced social media should be strictly regulated and I’d love to see Congress take Mark Zuckerberg and jam an investigatory flashlight up his rear end and see what little secrets they find. That guy is a brainless nightmare of a human being. Him and the Twitter CEO both have a special place in Hell in my opinion. Their 2 platforms cause more pain and strife than you can shake a stick at and they just remain totally unaccountable, hiding behind “free speech” as an excuse to peddle a product that is clearly doing massive, conspicuous harm. Kids are killing themselves over FB drama. Zuck sits on his throne and could care less. That’s not what a man does. That’s what an impish little rat does: avoids, scurries, hides. It all ties into business as an impression of success. I run a small company. I probably work 2 hours per day. That’s all. No commute. No lines at grocery stores. I visit friends at their offices and take them to lunch and feel genuine sadness when they express how harried and frantic they feel. “So quit”, I tell them. It’s like the Peter Gabriel song “Solsbury Hill”… I was feeling part of the scenery so I walked right out of the machinery…. If we want the busyness to end, it comes down to us to get up and walk out. Don’t wanna feel FOMO? Don’t use social media. The FOMO feeling will vanish. Don’t wanna overwork? Then don’t. Busyness therefore is also a form of groupthink. God forbid you be the one to work a little less in a typical corporate setting. I once, toward the end of my corporate career, told a female coworker, this young, do-gooder type, to stop telling me that “staying late on Fridays is fun!” I was visibly mad at her because I was sick of the lie she kept telling. The executives wouldnt stay late on Friday. Why the hell should we ? Again, all of these anecdotes connect to your premise. You’re really onto something here. We need more scathing indictments of busyness. 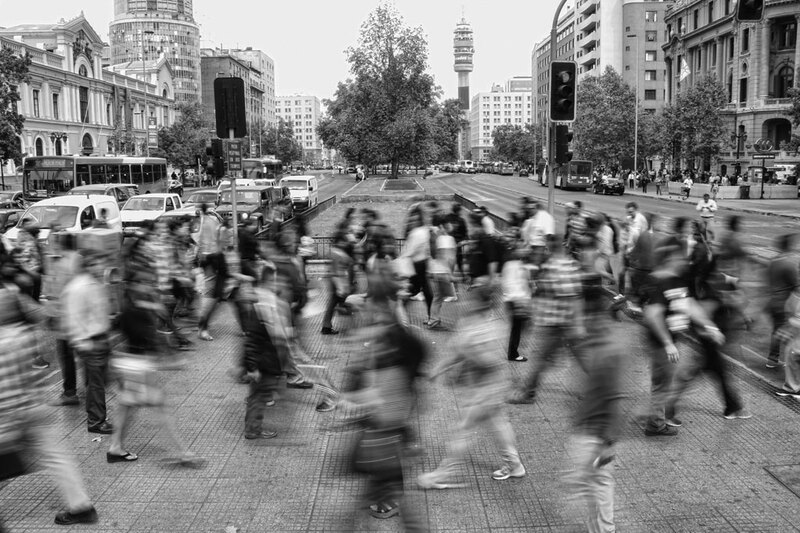 Busyness the public health hazard? Busyness as mental illness? Busyness as morally wrong? There is an emerging culture in this country that is rejecting busyness on its face. Productivity and busyness are NOT the same thing. I made about $3,500 this week. I spent about 8 hours working. How did I do that? I spent time becoming really really really good at what I do. Now, I’m in my jacuzzi by 3pm every day, having gone to the gym, cleaned the house and done my work. Time is mine to command. No one tells me when to be somewhere or can just summon me with the touch of a button. It’s a great lifestyle if you can figure it out. There’s no roadmap. Took me 8 years. Anyways …. good luck Kyle. Keep writing. It’s good stuff.